Aimée - One piece of fan art. AJ Ryan - One piece of fan art. Alabaster - One piece of fan art. Alaer Kino - 190 pieces of fan art. Alfador - Eleven pieces of fan art. Andrew Luers - One piece of fan art. Anime-ker - Seven pieces of fan art. Anithin - Two pieces of fan art. Annie Felis - Six pieces of fan art. Athana Soulfire - Two pieces of fan art. Avery - Five pieces of fan art. Blue Dragon - Three pieces of fan art. Bridgette - One piece of fan art. Candytrip - Two pieces of fan art. Capristo Havlovich - Five pieces of fan art. Claudia - Four pieces of fan art. Clest Elnith - One piece of fan art. Crono8 - Three pieces of fan art. Crystal Zeal - Nine pieces of fan art. CuteLucca - Forty-Two pieces of fan art. Dana "D" Pull - Three pieces of fan art. Dark Elf - Three pieces of fan art. Dark Prophet - One piece of fan art. Darklance - One piece of fan art. Darknightdestiny- Two pieces of fan art. Diamond - Three pieces of fan art. Duff Booze - One piece of fan art. Emanuel Marquez - Thirteen pieces of fan art. Feline - Twenty pieces of fan art. 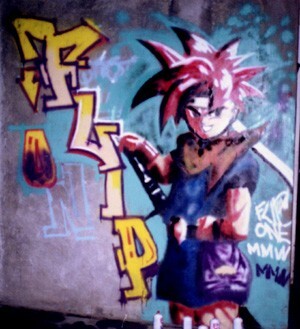 Flip-One - One piece of fan art. General Velo - Six pieces of fan art. Glarryg - Twenty-seven pieces of fan art. Holly-Beth Kraft - Fifteen pieces of fan art. Hoy Polloi - One piece of fan art. Hyuga - One piece of fan art. Hunsvotti - One piece of fan art. Jigokusabre - Seven pieces of fan art. Kay - Fifty-four pieces of fan art. Kayin Vanderkill - Seven pieces of fan art. Kenko Emi - Five pieces of fan art. Koldsoul - Ten pieces of fan art. Lady Prophet - Thirty-Six pieces of fan art. LightSoul - One piece of fan art. Lin - One piece of fan art. Lucca! - Two pieces of fan art. LuccaLuvr - Five pieces of fan art. Luis Beraza - Nine pieces of fan art. MaggieKarp - Two pieces of fan art. Maggie Sue - Five pieces of fan art. Matthias - One piece of fan art. Megan - One piece of fan art. Michael Piatt - Five pieces of fan art. Middletails - Five pieces of fan art. Motoki007 - Two pieces of fan art. Myshu - Seven pieces of fan art. Nader the Nu - Twelve pieces of fan art. Nadia - Four pieces of fan art. Naria - Four pieces of fan art. Nichole - Eleven pieces of fan art. NobleKnightKaeru - Ten pieces of fan art. Omnifyre - One piece of fan art. Packrat - Two pieces of fan art. Pious - One piece of fan art. Plangkye - Five pieces of fan art. Prince Nightmare - One piece of fan art. Princess Frog - One piece of fan art. PsyGuy - One piece of fan art. Ronnie Fernandez - Seven pieces of fan art. Ryu-chan - Three pieces of fan art. Sam - Fifteen pieces of fan art. Sam Breed - One sculpture. Shadow@ngel - One piece of fan art. Shard - One piece of fan art. SilverSword - Three pieces of fan art. Skankin' Lionel - One piece of fan art. Sky - Five pieces of fan art. Son Gosai - Eleven pieces of fan art. SonicBlade - Six pieces of fan art. Spryte - One piece of fan art. Steffel - One piece of fan art. Takemitsu - Two pieces of fan art. Taran - Three pieces of fan art. Tekniklr - Ten pieces of fan art. Tenchi - Three pieces of fan art. The Goof - Nine pieces of fan art. The Entity - Twenty-one pieces of fan art. The Storyteller - Eight pieces of fan art. Tiger of the Wind - Three pieces of fan art. Young Wang - Seven pieces of fan art.